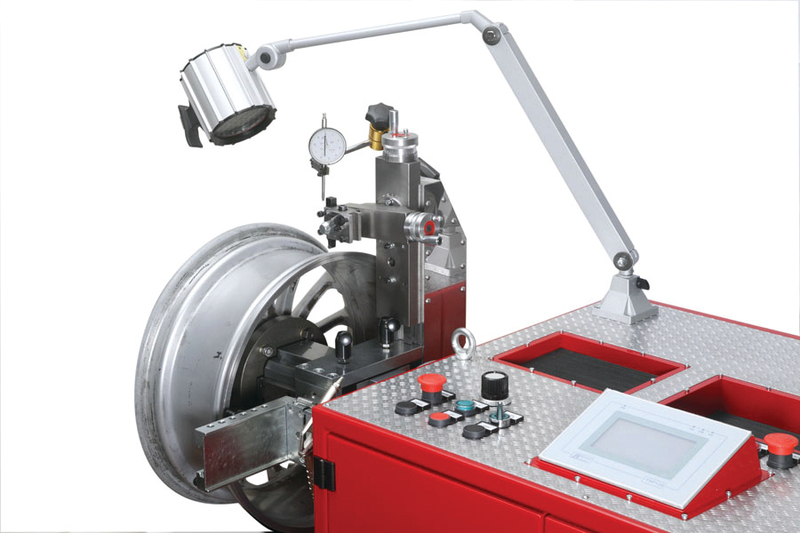 The only fully automatic rim straightener in the world with the ability to repair one rim on the first side and use the lathe independently on the other side. This patented, second-generation tool has been developed on user experience and scientific engineering. The Speedyround Plus’ unique features make it a perfect tool to repair large rims in a safe and profitable manner. Full automatic state of the art rim straightener saves time, labor and money. Lathe with built-in ceramic heating feature. There’s no other rim straightener on the market like this. If you do six rims a day 5 days a week. That is 1950.00$ a week with the lowest fee (65.00$). That’s more than 100k a year! Contact us today for more information or to order any of our products. Call your Sales Representative Christina Hacker at (973) 593-2309 or email at christina@truewheelsllc.com. Contact your True Wheels Representative Christina Hacker at (973) 583-2309 or email Christina at chacker@truewheelsllc.com for more information on how we can help increase profits with our full line of wheel straightening systems.